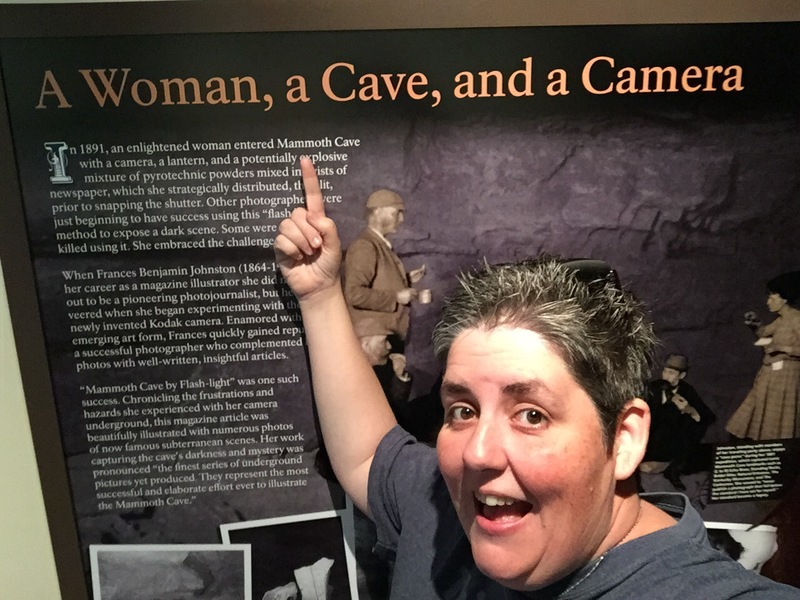 While at Mammoth Cave you get to hear a lot about the guides who took people down into the caves. One of the most famous was Floyd Collins. Mr Collins was an avide explorer of the caves. Trying to link the Cave he had found to the Great Mammoth Cave. He went caving alone and got his foot trapped and could not get it loose. When he didn’t come home is brothers went looking for him. They couldn’t reach him but brought him food, water and shelter and then went to get help. Mr Collins died in the cave due to exposure. 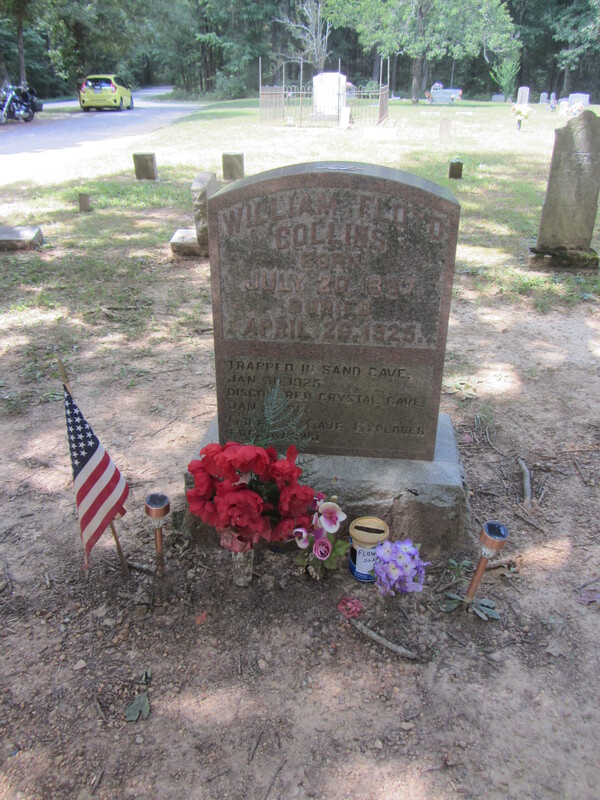 He is buried in the Mammoth Cave cemetery right on the out skirts of the hotel and the visitor center. There are so many stories like this that the rangers will share with you on your tour. 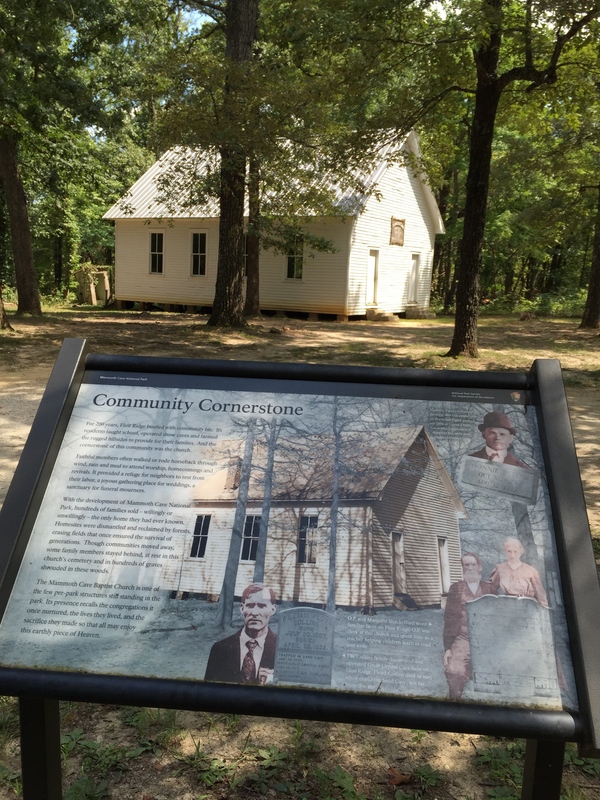 you can read more nps.gov or google Floyd Collins. 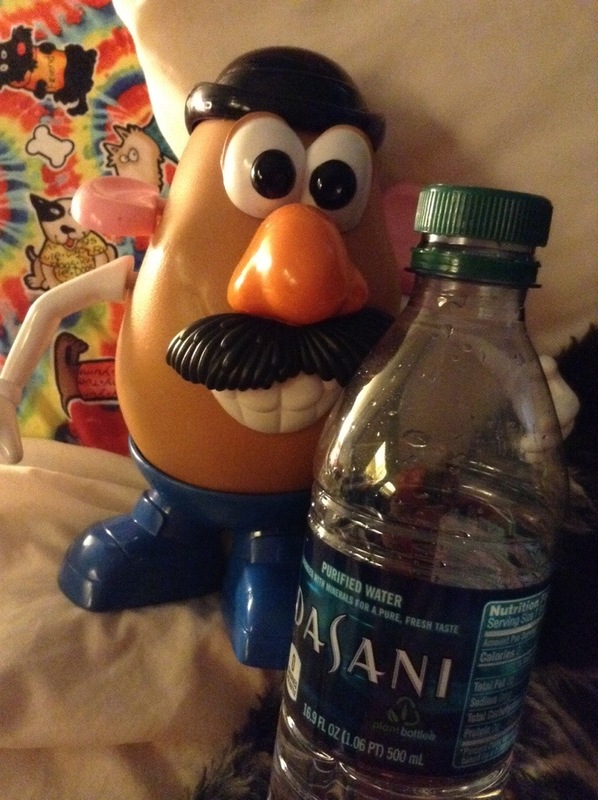 All this walking sure makes a potato thirsty! Yesterday I shared with you a fun weekend away! So today I wanna share some pics from inside the cave! 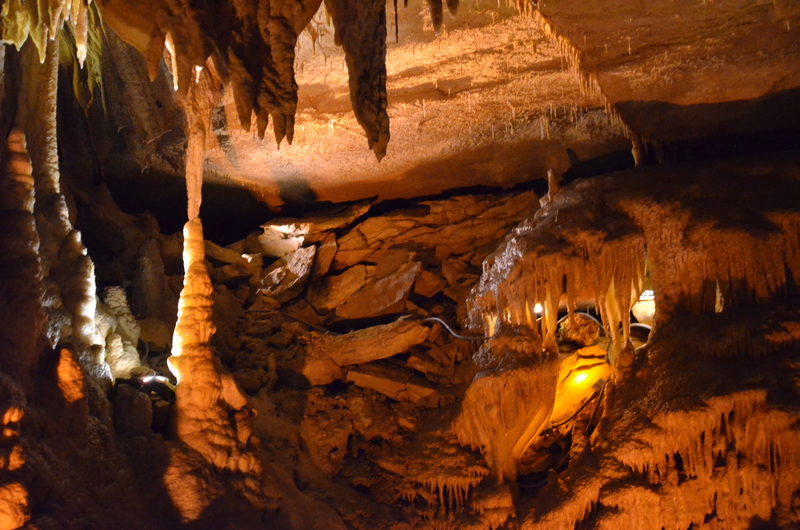 A stalactite hangs like an icicle from the ceiling or sides of a cavern. 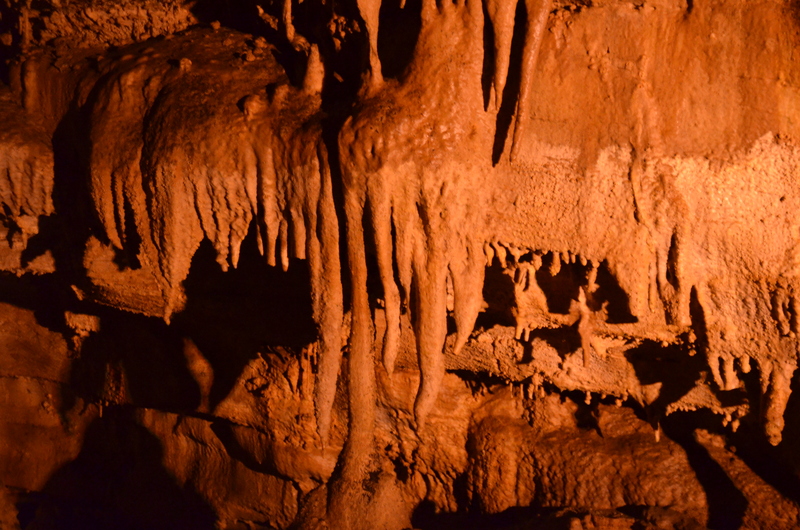 A stalagmite appears like an inverted stalactite, rising from the floor of a cavern. 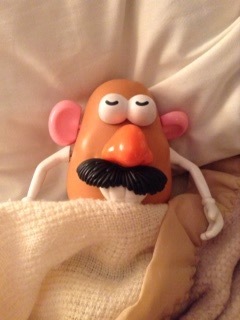 Boy after seeing all this cool stuff I got a nice long nap! Wonder what were will do then? Today we celebrate 99 years of National Park treasures. 408 sites make up this unique system of parks and according to the national park website 292 million people enjoyed the parks last year! They also employe 277,000 people. This last weekend my friends and I went and checked out one of our National Parks. Mammoth Cave in Kentucky. 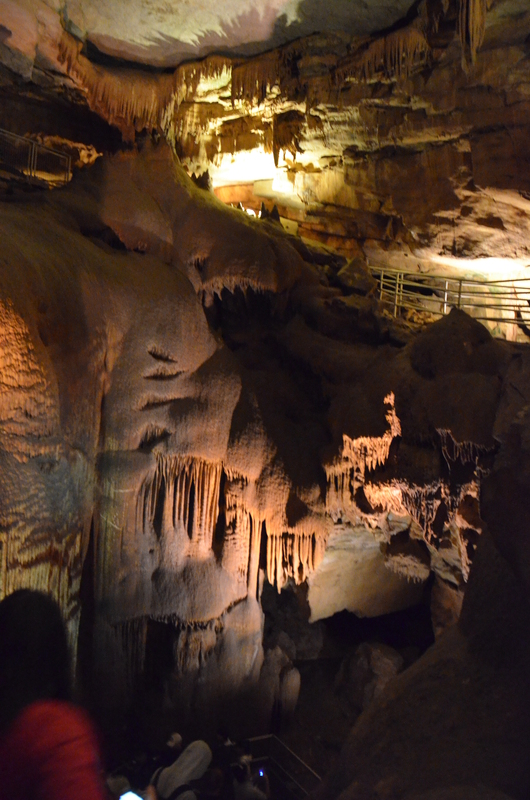 As of the end of July Mammoth Cave has 405 miles of documented caves. That is 3 times bigger than any other cave system. We got to go into the cave. We went on the Frozen Niagra tour. 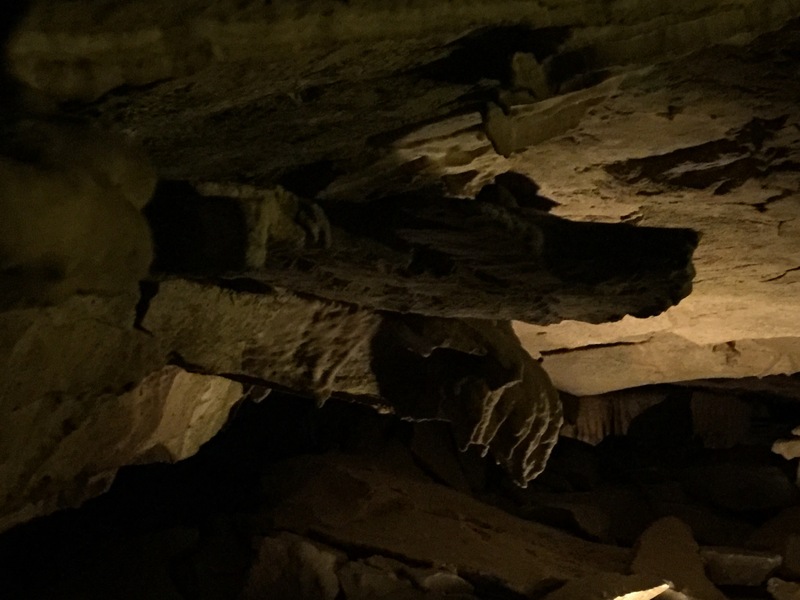 It was really dark in the caves when the turned out the lights. It was also chillie. 57 degrees all the time. This was the shortest of the tours and was perfect for my short legs :0) there were several children that were with us as well. Perfect fun time. Here is one of the pics from the cave. I’ll add more next blog. 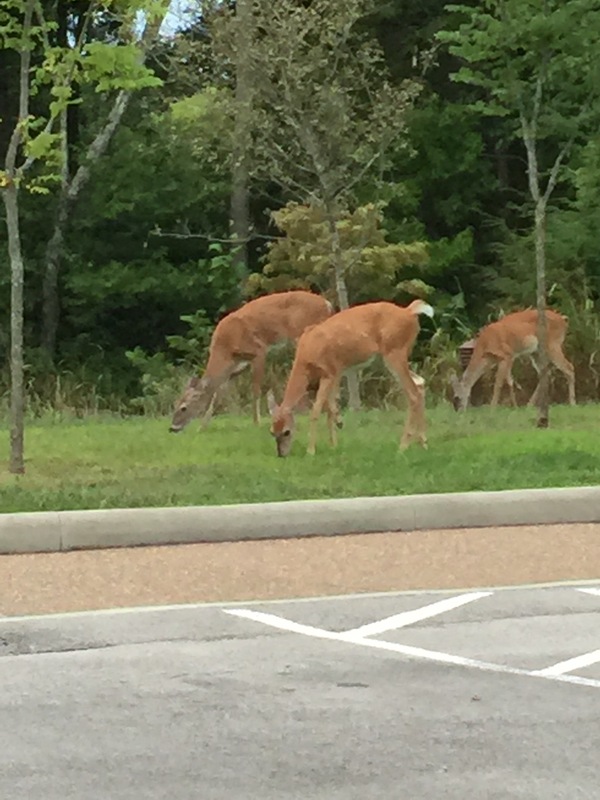 After the tour we goofed around and acted silly and then as the evening came we saw deer having dinner. Did I mention the museum? There is one of those too! 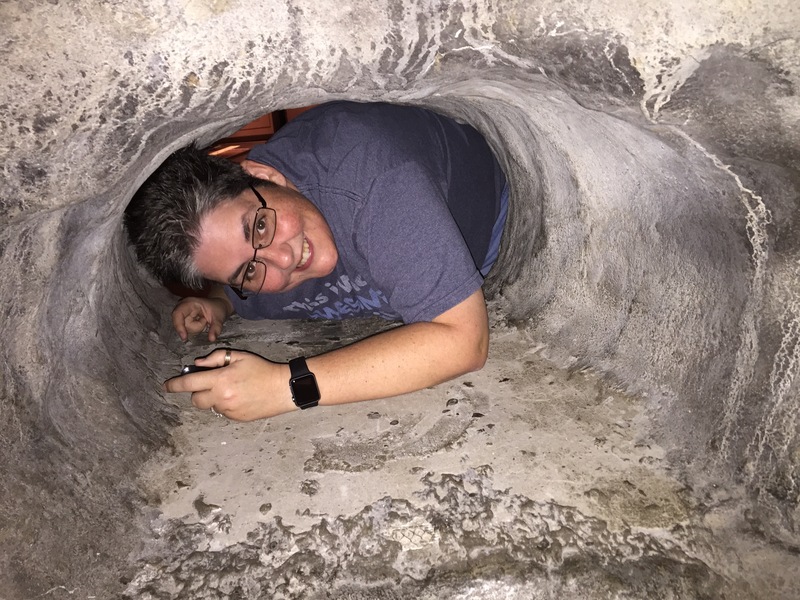 Here is Ohiophotogrl trying her luck at caving. And this sign said it all! We give this trip 5 stars! 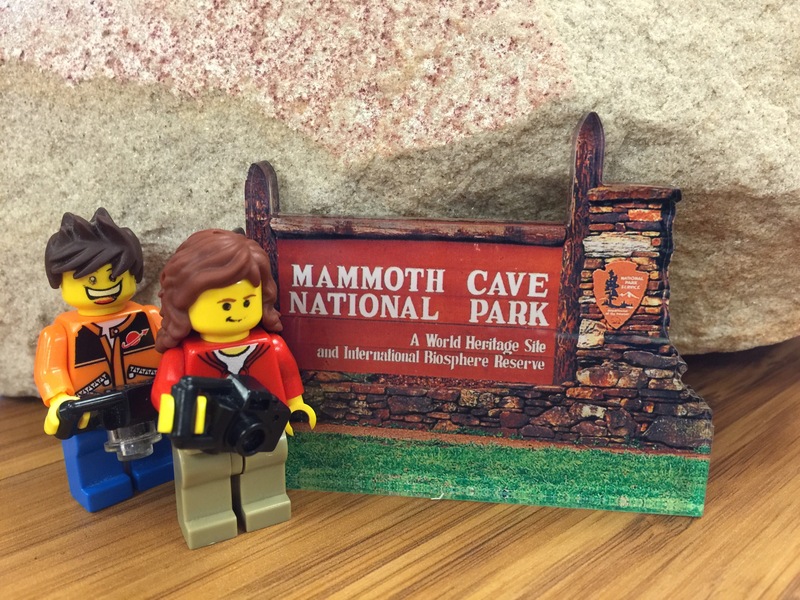 If your looking for a fun weekend get away Mammoth Cave is perfect. 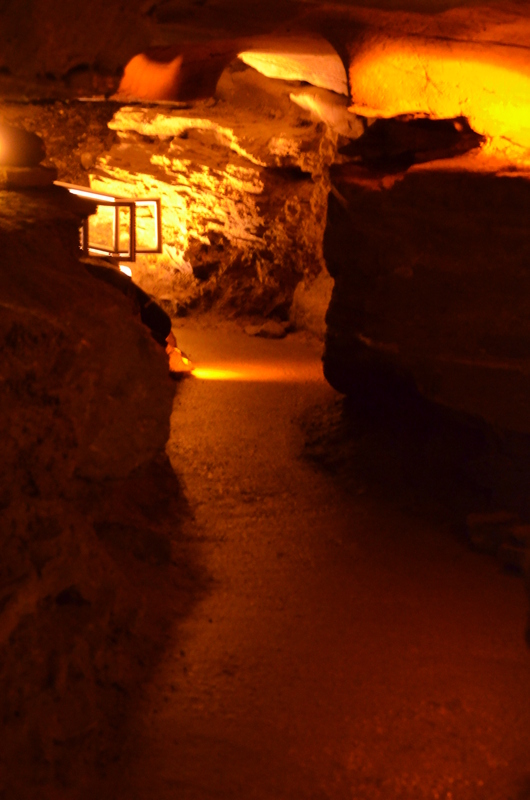 Stay at the Mammoth Cave Hotel and you are right there by the caves! One short walk across the bridge. 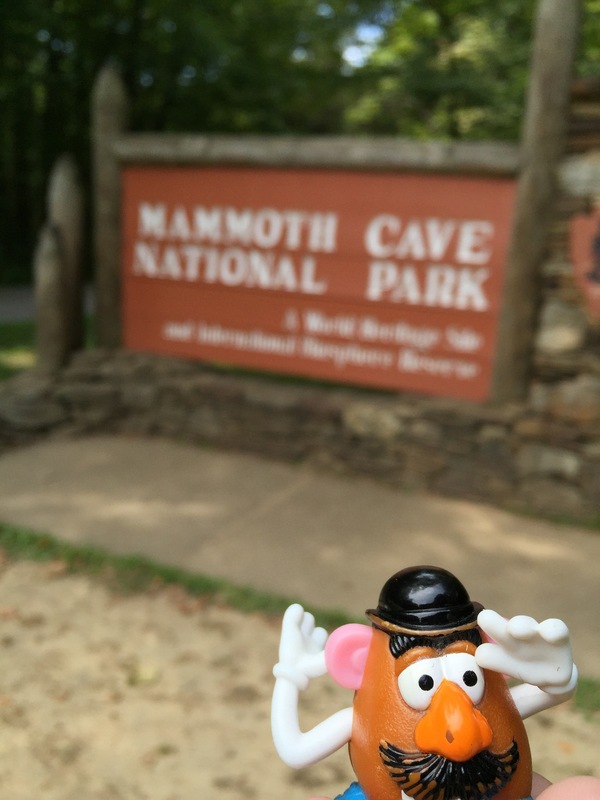 The staff at the hotel was amazing and the park ranger guides at Mammoth Cave were knowledgeable and fun! The ladies in the gift shop help us with some photo ops! Thanks ladies! We even got a coupon to make a free shutterfly book now that we are home!And lastly we need your help. 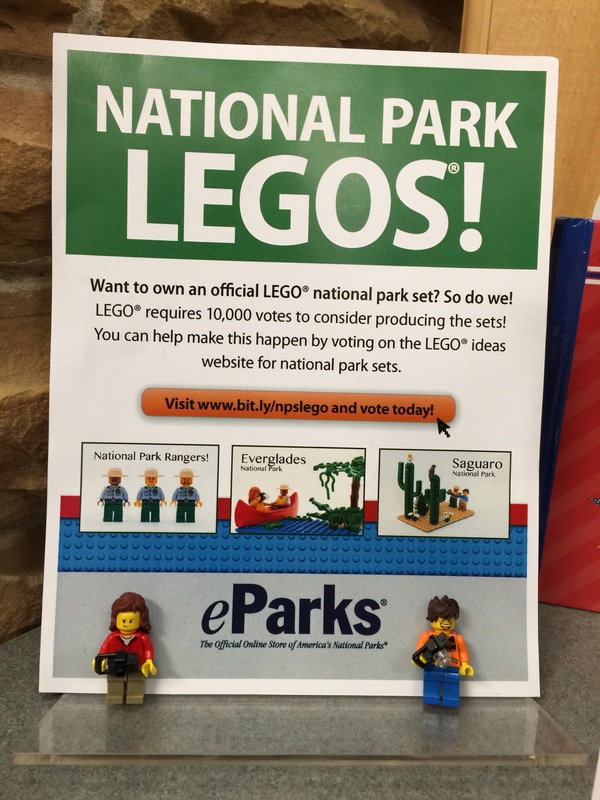 The National Parks are looking to Lego to make something for them. Noes your time to vote! I say vote for the park rangers! Well now I think I’ll go check out a park or something. It is beautiful outside here in the 937.